Just mention the words ‘Kranky‘ (for the label), ‘Loscil’ (for the artist alias of Scott Morgan) and ‘Plume‘ (for the cd title), and the experienced ambient listener that will know what to expect. This is the fourth full cd release since 2001 (after Triple Point, Submers and First Narrows). Again, it’s very good, as were the ones before. Comfortable atmosphere, beautiful sounds, never boring. And extremely peaceful. And if this wasn’t enough, the free net release Stases can still be downloaded here! 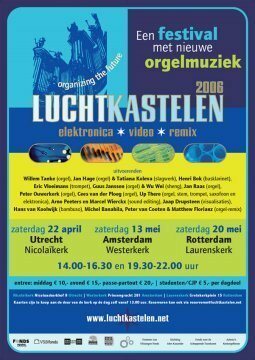 The ‘Luchtkastelen’ (Castles of Air) Festival focuses on new music for church organ. |The festival will feature organ performances, improvisation performances, as wel as performers ‘remixing’ classical organ recordings. 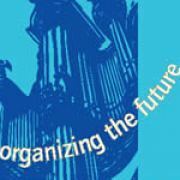 This follow up to the 2000 edition of this festival can be enjoyed on three days on different locations: April 22 in Utrecht, may 13 in Amsterdam and may 20 in Rotterdam. Apart from all live performances, traditional church organ music will be remixed by Matthew Florianz, Arno Peeters and myself. Check the website link for more information and program details in English. Read post"LUCHTKASTELEN – Castles of Air"
Anyone that has experienced the magnificent ‘Le Pas Du Chat Noir’ (2002), will know what to expect from this follow-up. It’s the same line-up: Anouar Brahem (Oud), Francois Couturier (Piano) and Jean-Louis Matinier (Accordion). It’s also the same beauty. Stylish, introspective lyrical compositions that have their root in French melancholy as well as in Tunisian passion. This is not just for the jazz- or ethno-purist audience, it’s simply too beautiful for that. Try it. 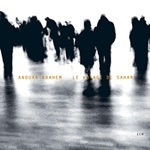 Read post"Anouar Brahem – Le Voyage De Sahar"
It’s the perfect blending of Zazou’s electronics with strings (played by Archea Strings) that makes this music stand out compared to a lot other releases in the same field. That, ?nd the help of some of his friends: Brian Eno (performing onthree tracks), Ryuichi Sakamoto, David Sylvian and Peter Buck (!? Peter Buck of R.E.M. fame!?). It’s not often that projects like this ‘touch’ me like this one does: most are too arty, or too pretentious, or just not interesting. 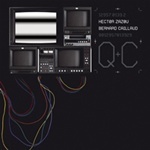 This project proves that Zazou is a master in this field of experimental electronic and it must have been the work of Bernard Caillaud that inspired him to do this. Apart from the audio cd, the package contains a DVD with the 5.1 surround remixes (!) of the music accompanying the digital artwork of Bernard Caillaud. 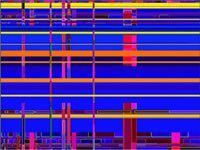 There is no direct (intended) relation between the music and the computer art, but both perfectly fit each other. This really turns your living room into a modern art gallery! Both discs are packaged respectfully, along with 10 reprints of Caillaud’s work (one for each track). 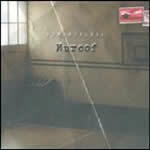 Commercially, this release may be a risky one when compared to Zazou’s earlier projects. Praise to Materiali Sonori (the label) for taking that risk. Read post"Hector Zazou / Bernard Caillaud"
2006 celebrates the 10th anniversary of a musical revolution that hardly anyone noticed. In 1996, a company called SSeyo released the first version of their KOAN musical software. An incredible ingenious piece of work that introduced the concept of “Generative Music” – music that chooses it’s own path from a set of rules and parameters, and sounded slightly different every time it is played. Read post"KOAN: A Revolution Overlooked"
Kelvin L. Smith is a prolific English musician. He’s working as a singer/guitarist in the pubs and clubs of South Wales U.K. 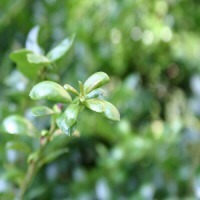 But he also has a firm passion for ambient music and that is what he creates at home. He has released quite a few (ambient) releases under his name, all released through various independent channels. 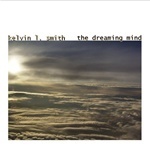 Read post"Kelvin L. Smith – The Dreaming Mind"
Upon re-discovering his own archives, William Basinski found some old analog tape-recordings of some ‘pastoral pieces’ of his own work, recorded in the early 80’s. If you can remember this analog reel-to-reel tapes (or cassettes), and imagine them to be used as a real physical loop (end glued to beginning), you can almost see how they started to deteriorate when played endlessly. (Remember the brown dust on your cassette-recorder playback heads?). 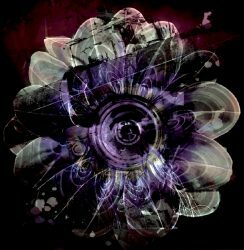 Read post"William Basinski – The Disintegration Loops"
The Belgian U-cover label has shown a fine taste in their ambient releases. 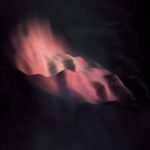 Not all releases are ‘ambient’ in the strict, beatless sense: the U-cover label describes itself as an underground electronic label, and that’s what it is. 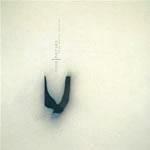 Call it Ambient, call it Techno, U-cover releases are immediately recognisable by their specific sound. Maybe it’s because of this unpronounceable title, but I have completely missed this (2004!) release. I never have heard about it until recently. Better late than never, because this is easily one of the strangest and the most compelling albums I ever heard! Upon hearing only the first track of this haunting album I realised that this is a sound completely different from all I heard before. It’s as if a voice coming from the middle ages haunts you in your deepest sleep. It’s beautiful, heavenlike. But at the same time it’s distorted and confusing, scary even. “Spellewauerynsherde” is built up from found sounds, field recordings of traditional Icelandic accapella lament songs recorded in the late 1960s or early 1970s on Ampex tapes and then forgotten about. After discovering the neglected tapes, cleaning them up and digitizing them for a library, Rabelais became fascinated with the heartbreaking sadness of the voices and began to think of them as source material for a series of compositions. As the title (Spelle, Wavering, Sharde) suggests, you will not understand a word of what is sung. But somehow the message will come through. Read post"Akira Rabelais – Spellewauerynsherde"
Since 1980 the spelling of the word may have changed a vowel, but the meaning is still the same. The Roches (Maggy, Terry and Suzzy) were -and still are- nurdy but irresistable! And if you may doubt their skills: Robert Fripp played with them on this record…you can’t get more intellectual credibility than thát, can you? 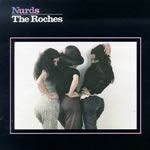 Read post"the Roches – Nurds"
Fernando Corona’s alias Murcof is a ‘hot’ name in the ambient music scene. And with a reason. With his earlier releases (Martes, Utopia and some other, all released on Leaf) he defined his own particular sound, quite unlike most other contemporary ambient music around. It’s a warm, emotional sound, maybe because he is born (and lives) in Tijuana, Mexico. A Biosphere from warmer regions, you might say? His latest release is called Remembranza, and the music is as beautiful as the title. It is as adventurous as it is quiet. However, the glitchy clickin’ rhythms on some of the tracks may pinpoint this release to 2005: I’m afraid it’ll be these rhythm tracks that will make this album sound a bit dated ten years from now. In my opinion these tracks would have been ‘timeless’ without these rhythmic backgrounds…but I’m nitpicking now. Remembranza easily belongs to the very best recordings I have heard in many years! The Sony rootkit: a Major Mistake! 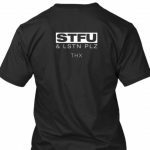 I’m not gonna repeat all things already said about the Sony/BMG CD’s that are copyprotected and install their ‘rootkit’ software on your computer when playing the cd on it: almost every weblog about music and/or computers has written about it already. If you want the details: the original Mark Russinovich article can be found here, and there’s a follow-up here. By installing software generally known as the worst kind of computer infection (and most difficult to remove), Sony / BMG have made a complete fool of themselves, and they managed to make it worse by releasing crappy uninstaller-software under public opinion pressure. I guess they’re not even sorry, they’re just afraid to loose their profit – especially now. Remember: it’s november, which means bad timing for bad press! In my opinion, SONY/BMG deserves a total consumer strike against them, for at least the rest of the year. Don’t buy SONY/BMG cd’s for present this christmas. Especially those of the copy-protected kind! I know, this is a “Major” record company, so there’s quite a lot of big artist-names n?t to choose from, but if you look a bit further there’s a wealth of alternatives to be found. And if you can’t think of anything: a package of blank CD-R’s can be a welcome present, too! Read post"The Sony rootkit: a Major Mistake!" Recently I stumbled upon some news about the buddha machine: a small device that looks like a cheap fm-radio that endless loops 9 ambient samples. You can switch samples, connect a headphone, or listen to it using the built in speaker. The ambient sample-loops for this small device are created by Christiaan Virant and Zhang Jian, known as FM3. Brian Eno is said to have bought eight of these things, for obvious installation purposes. Well th?t’s a gadget (*) I cannot refuse! So I immediately ordered one from Staalplaat. It’s a conceptual thing: it’s the idea that counts more than the result. Due to the inexpensive hardware the samples don’t even nearly sound like they do on-line (click the speaker icon below to hear the online version). But still – the Buddha Machine proves irrestistable. After the initial scorn for buying ‘crap’ like this (“it doesn’t even play decent radio!”) I found my family playing with the thing and enjoying this piece of obvious irrelevancy. Although I probably won’t buy the complete series, I certainly won’t regret this purchase…. (*) there’s a matter of definition here: a gadget is defined as ‘a device that is very useful for a particular job’ – whereas ‘a device of clever design that has no practical purpose’ is called a novelty item. It’s up to you to decide which one the buddha machine is. 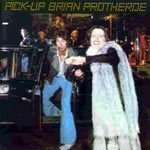 2005 celebrates the 30th birthday of a record that belongs to the few that I must have played hundreds of times when I was fairly young: Brian Protheroe’s Pick Up (1975). Along with the preceding Pinball (1974) and the following I/You (1976), this album belongs to my all-time favourites. When you hear these records now, it may be a bit difficult to hear why they did appeal to me so much then. But even nowadays the strong voice still sounds appealing, the tongue-in-cheekness of the lyrics still can bring on a smile. It’s only some of the the arrangements that sound so very 70’s, sometimes musical-like. (I hate musicals, by the way). The performing scene clearly attracted Protheroe: after he quit recording albums he has continued his career as an actor and has been performing in numerous musicals. Check his CV on his website for details (by the way – this is by far the worst website I have seen in years!). These albums records have been hard to find in their time , but they have been re-released on CD by Basta. Read post"Brian Protheroe – Enjoy It"
If you’re one of the people that cannot stand the voice of David Sylvian, you’re not gonna like this record, because he is one of the main performers in this one-off group. But if you can, you’re gonna love this project! Nine Horses’ ‘Snow Borne Sorrow’ sounds just a like slick sounding coffee-table album — when you don’t give it enough attention. But in fact the music is very subtle, probably because Sylvian and Jansen chose interesting performing partners like Burnt Friedman (adding his unrivalled adventurous and ever-surprising arrangements and sample wizardry), Arve Henriksen (haunting Jon Hassell-like trumpet whispering), and a host of others like Stina Nordenstamm (voice), and good old Ryuichi Sakamoto – to name just a few. If this were a David Sylvian project, it’d be the best he has done in many, many years. But this is not a David Sylvian project. This is Nine Horses – one of the unexpected musical pleasures of this year. Perfect release for the closing days of 2005. 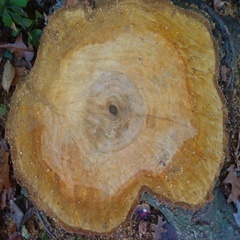 Read post"Nine Horses – Snow Borne Sorrow"
Being the prolific musician that he is, Stephen Philips has come up with quite some unusual ideas (see the recent post about the drone download project, for an example). There’s quite a few projects under his name at www.darkduck.net. Inside and Outside is presented in the form of an extremely limited multi-part subscription project, which immediately raised my interest. Only the final (fifth) album of this series, which is planned to end in december 2005, will be available as a non-limited release, but the preceding four (ánd an extra bonus disc) will be available only for the 25 subscribers lucky enough to have spot this in time..I guess we’re talking about a 100% collectors item release here! The music is a combination of field recordings (from near Washington DC), blended with dark deep ambient drones and textures. 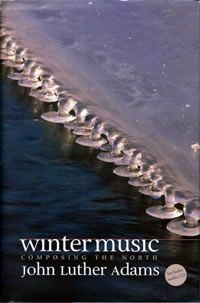 The field recordings are made only just before creating the albums, so the complete series finally turns out to be an auditive description of this year’s summer, fall and the beginning of winter. I like that idea. And I like the music.